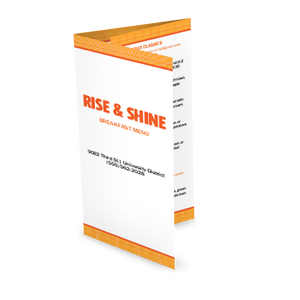 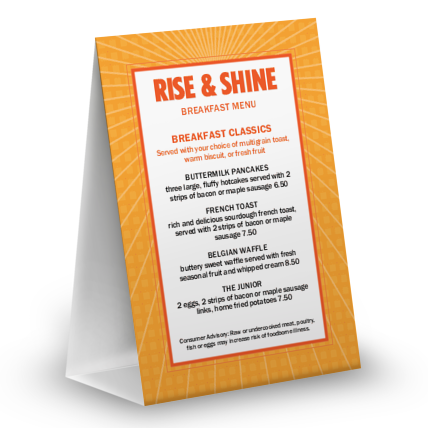 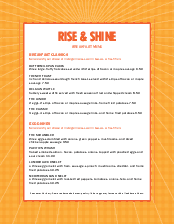 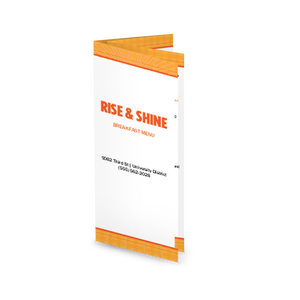 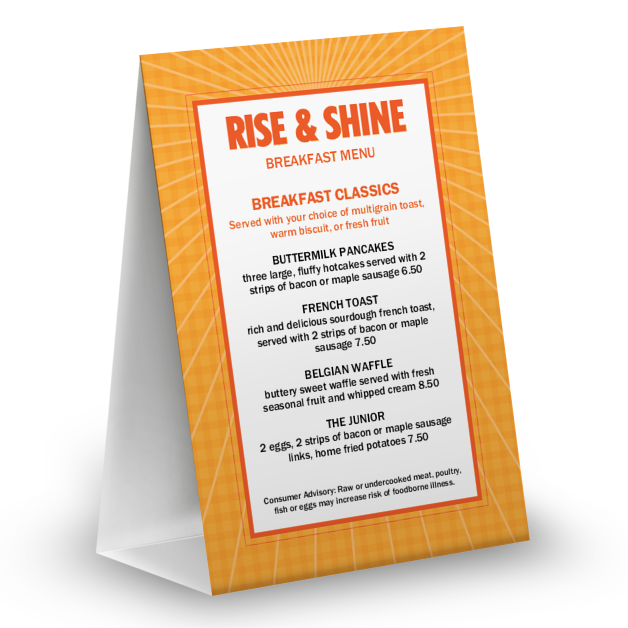 A sunny orange table tent template for the Sunrise Breakfast collection. 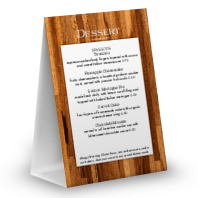 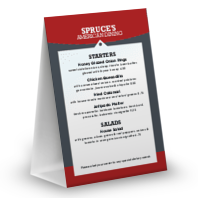 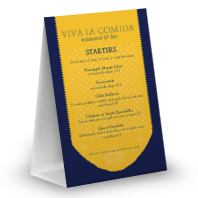 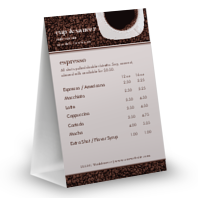 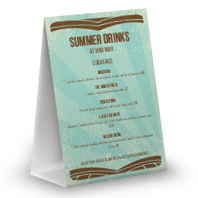 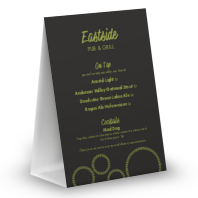 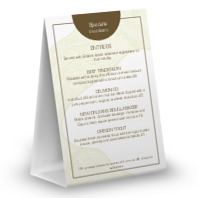 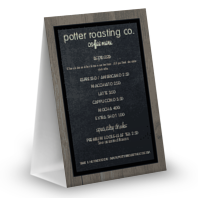 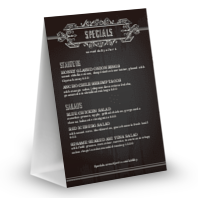 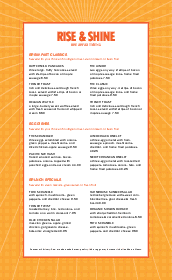 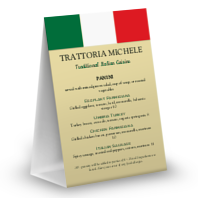 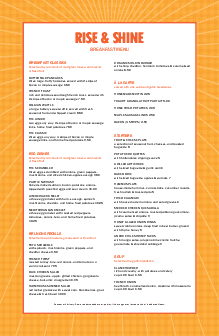 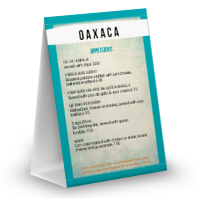 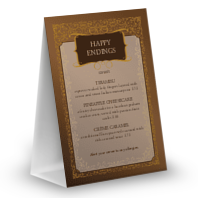 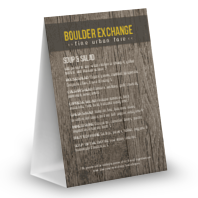 This design features a wide orange border and blocky fonts for an eye-catching tabletop menu. Create your own breakfast table tent in the online Menu Maker.